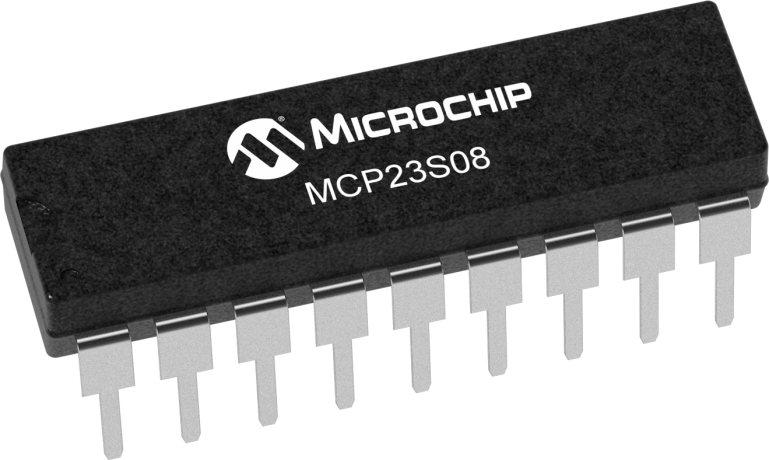 The MCP23X08 consists of multiple 8-bit configuration registers for input, output and polarity selection. The system master can enable the I/Os as either inputs or outputs by writing the I/O configuration bits. The data for each input or output is kept in the corresponding Input or Output register. The polarity of the Input Port register can be inverted with the Polarity Inversion register. All registers can be read by the system master. The MCP23X08 8-bit GPIO Expander Evaluation Board demonstrates simple input/output functionality of the MCP23008 (I2C interface) and the MCP23S08 (SPI interface). The system demonstrates the simplicity of monitoring four inputs and applying the level to associated outputs.